At various times in my life, I’ve had occasion to deal with people famous in their fields, either writers or musicians, and I’ve been struck by how down-to-earth, helpful, and friendly they are. They’re the sort of people, interesting and interested, whom you want to know better. I’ve written elsewhere in this blog about the writer who inspired my Mr. Valentine nickname–Vicki Lewis Thompson, the author of a gazillion romance novels, many of which have made the NY times bestsellers list. In science fiction, Robert J. Sawyer and Connie Willis are both fascinating non-prima donnas. And now I’ll add another SF writer: David Brin. David attended the recent Tucson Festival of Books. When he was done signing books, I went up to introduce myself and, on learning I was a science fiction writer and a fellow member of SFWA, he invited me to join him for lunch. During lunch (we both had Greek food), we chatted about the importance of having fans read his work and provide feedback before publication. He has up to 50 pre-readers for his novels. And then, instead of talking about his recent release, Existence, he asked numerous questions about my new release, The Midas Rush. A true gentleman. Thank you, David. 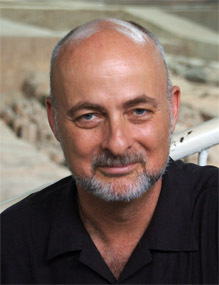 David Brin is a scientist, speaker, technical consultant and world-known author. His novels have been New York Times Bestsellers, winning multiple Hugo, Nebula and other awards. At least a dozen have been translated into more than twenty languages. For more information, see his website, Worlds of David Brin.